Learn how to play Neil Diamond – Play Me note-for-note on guitar. The lesson covers the main acoustic guitar part on the original recording. It also includes a bonus lesson and playthru covering the lead guitar solo. The complete file contains 2 lesson videos, 2 performance play thru videos, full tabs, chords and lyrics. You’ll receive a link to download the lesson which will download as a zip file of 254 Mb containing all the lesson content. Thanks jerry for this beautiful song, once again you have done a great job with it and I am looking forward to ” Song Sung Blue” which I imagine will be a fun strumming song. Just a bit of trivia I don’t believe there is such a word as ” brang” I think he was using a bit of poetic licence to rhyme with sang. 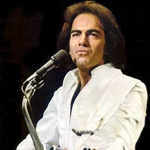 But I suppose someone like Neil Diamond is allowed to do that, just thought I’d mention that for fun. Hi Jerry love this one I’ve been learning this one on my own, but I can’t figure out the instrumental between verses ! Have you included in your lesson. Hi Mike. Help me here. Where do you mean? After the 1st chorus at about 1.15 where the strings play a phrase? I haven’t transcribed the string part. The lesson teaches the acoustic guitar that you hear as the main accompaniment instrument. And it has a separate lesson teaching the guitar solo for those who want to play that. Probably I’m not understanding the part you mean. Hi Jerry thanks for coming back so quickly, yes it’s the guitar Solo I want to learn. It’s played after different verses on different recordings! I even bought the actual music but on that the guitar solo is shown as a 20bar sequence of chords D Dsus4 etc . But not the dots for the actual solo , I was hoping this was in your lesson. The actual solo is taught in this lesson Mike. There’s a separate tab, lesson and play thru for the solo. More Neil is coming. Song Sung Blue will be next up.